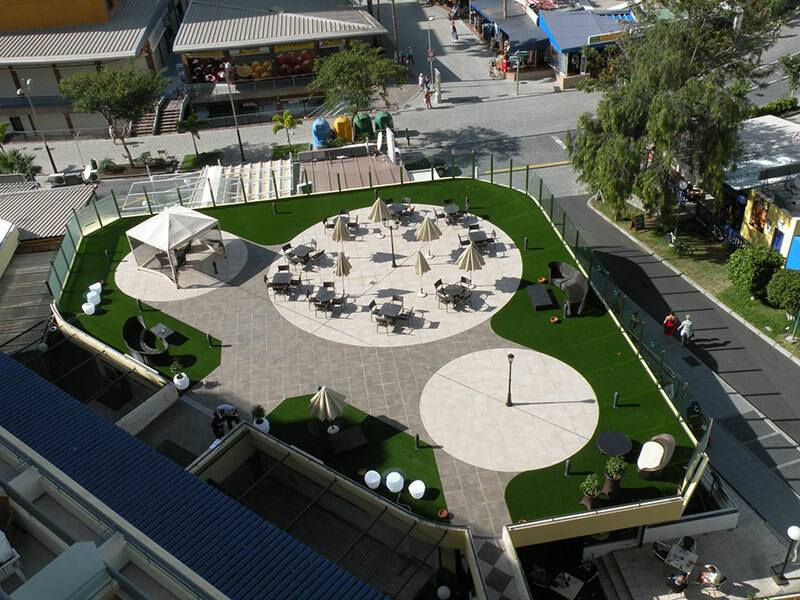 Since its establishment in 2003, Royal Grass® has become a leading brand in innovative artificial grass, with products available in over 47 countries worldwide including the Dubai & Abu Dhabi. Tens of thousands of garden owners already enjoy the luxury of Royal Grass®. 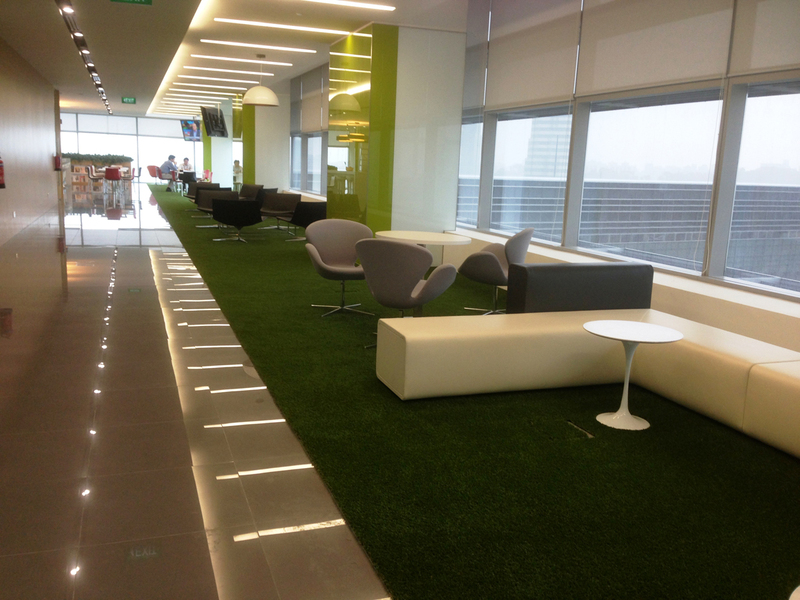 In Dubai Royal Grass® has its own representative for the gulf region. Royal Grass® is available in the UAE through a network of authorized Royal Grass® dealers and resellers. Not sure whom to contact? 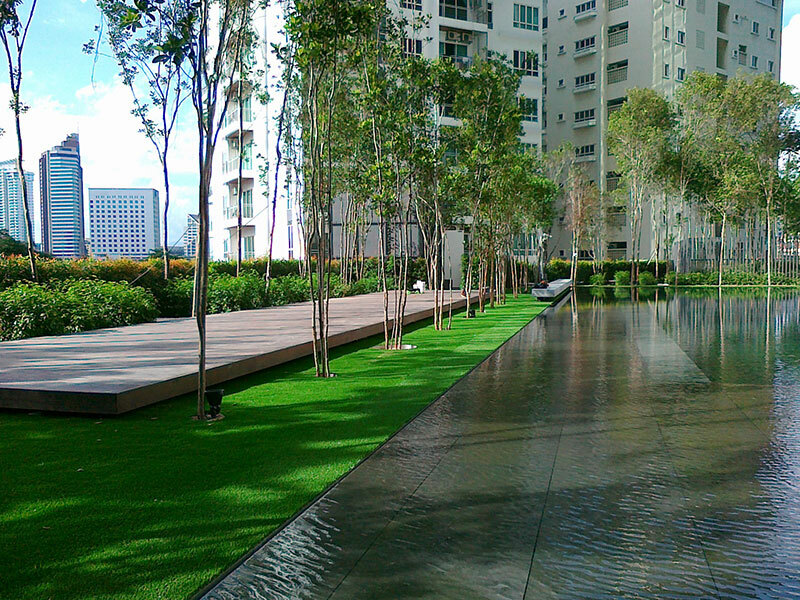 Feel free to contact us directly and we will recommend you the best artificial grass installer in your area. 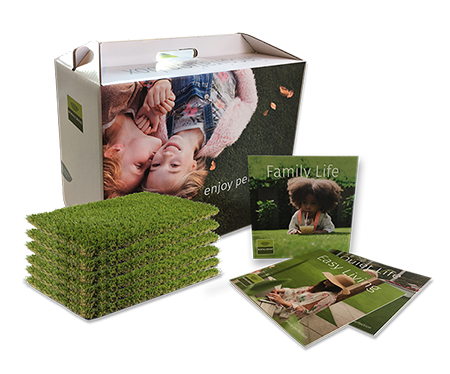 We have studied natural grass for years in order to make our Royal Grass® product look as much similar as possible. For over ten years we are the only artificial lawn producer manufacturing the famous ‘V-shape’, entirely inspired by nature. Its similarity with the real turf reflects in the fact that every blade has a lengthwise fold. MiNT is short for Micro Nerve Technology, which is our most recent discovery. In order to significantly decrease glare, we made the integration of the micro veins going lengthways on the fibers of the glass. This enables our artificial glass to look as close as possible like it’s natural counterpart. 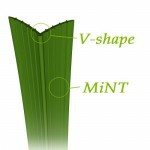 The ‘backbone’ and the perfect angle of the V-shape secure that grass blades stay upright for a prolonged period. 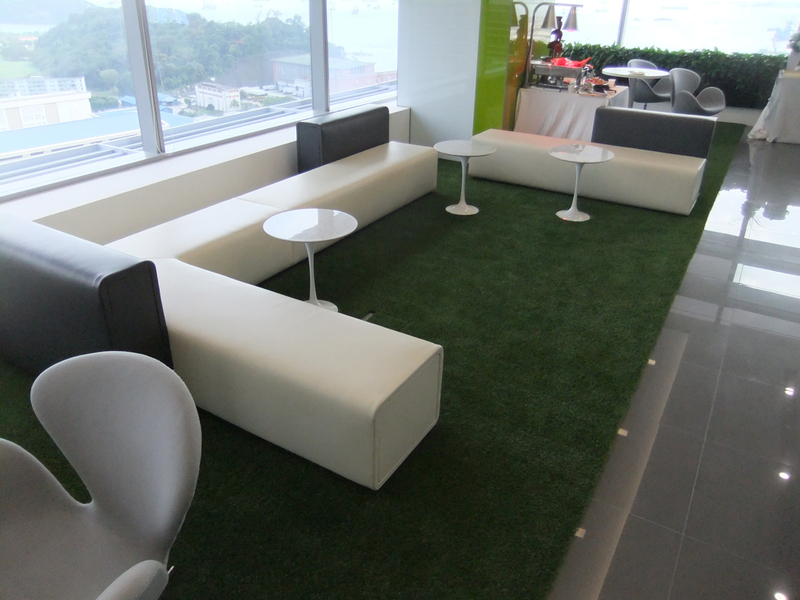 This enables us to deliver much better product compared to other fake grass products. 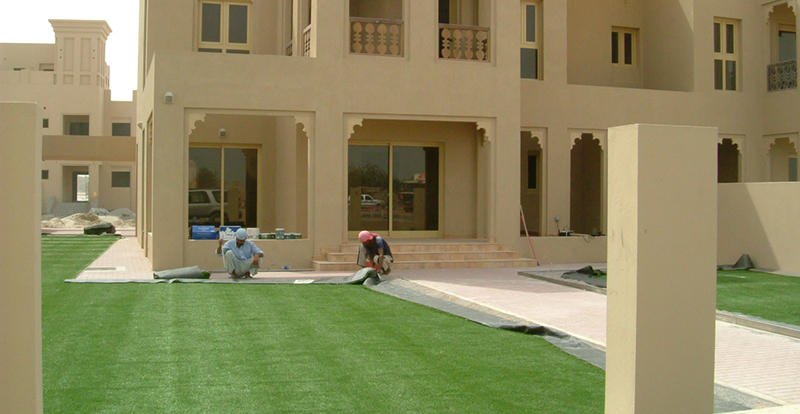 The first Royal Grass® installation in UAE was done back in 2005. This was done in Ras Al Khaimah and is still in use! We are dedicated to offering a top quality artificial grass product that completely resembles normal grass, but doesn’t require you to water, fertilize or mown your lawn. Landscape Solutions gave its artificial grass products the brand name Royal Grass®. This should immediately suggest the top quality of our systems. We put a lot of effort into researching the effects synthetic grass has on people and the environment and we dedicate ourselves to teach people to accept artificial grass, by providing a beautiful look of the product that reminds of its natural counterpart. The first Royal Grass®’ product was created using a mix of two hues of green, with the intention of the lighter color to give an effect of contrast. 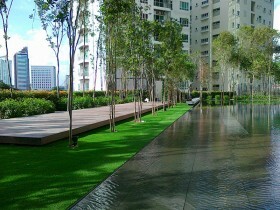 This is what enabled our artificial grass to look extremely natural. TenCate is the greatest artificial grass manufacturer of fibers for the artificial lawns industry in the world. It has three different locations of production – Holland, the USA, and Dubai. 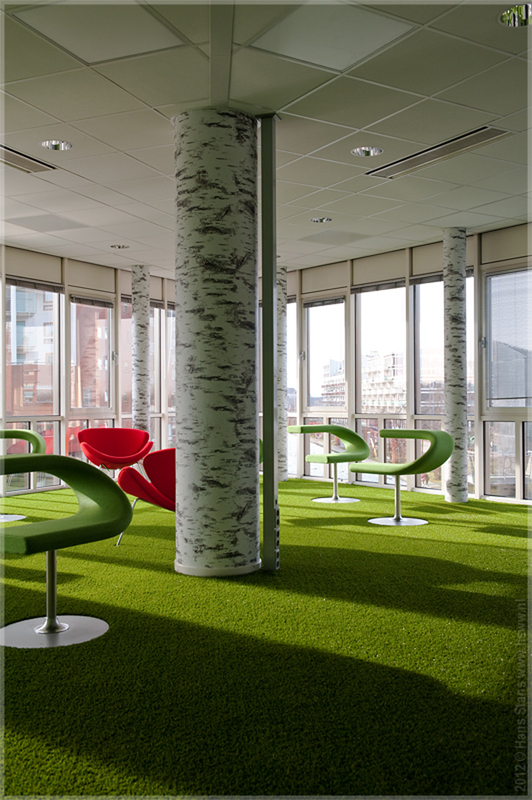 In 2003, Landscape Solutions B.V., a subsidiary of the company, created and started advertising new kind of artificial lawns carefully made to resemble the natural grass form. The idea behind this was that people don’t have enough time to maintain their lawns anymore, but they still like the beauty of a garden. Our studies have shown that people were up for buying artificial grass under the condition that they can’t tell the difference between the fake and real grass. We would really love to answer the question why you should choose us. First of all, we are completely dedicated to our policy of keeping top quality, pleasure and sustainability standards. We are completely aware that you won’t even discuss acquiring artificial grass if your neighbors are able to notice the difference between it and the real thing. 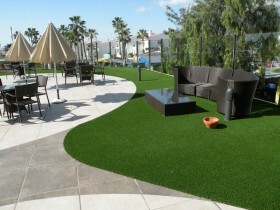 Artificial turf looking as similar to the natural form as possible!